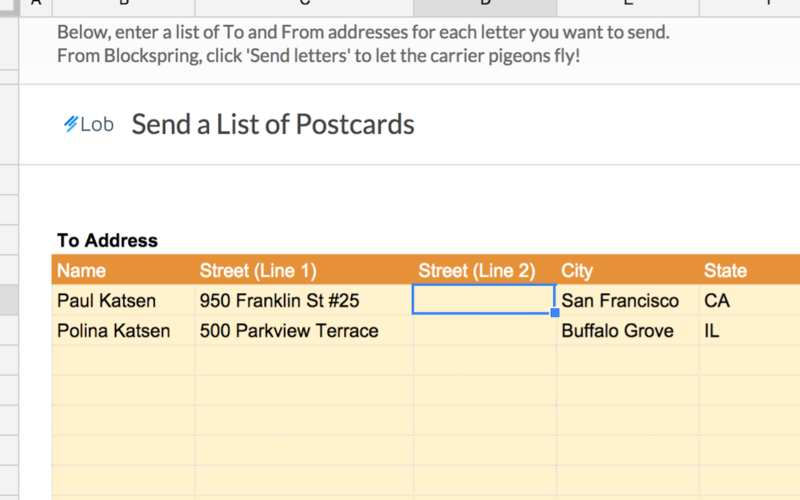 Print and mail a list of postcards right from Google Sheets. You'll need valid To and From mailing addresses, as well as a PDF/image for the front of the postcard. You can customize the back with either a PDF/image, or a text message.